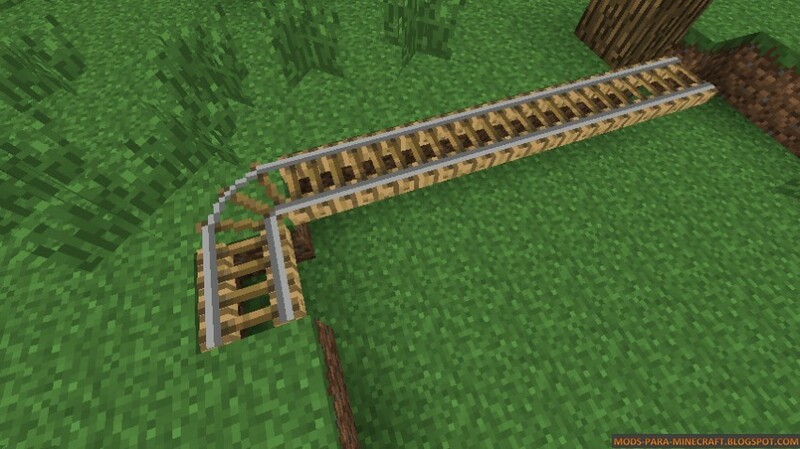 Rail Bridges Mod 1.12.2 adds one block, a rail that can be placed over open air, supports itself, and otherwise acts just like regular rails. Can’t be placed on top of a solid block and can’t be walked on without sneaking. The rail bridge will make slopes, but not corners. And while it will make slopes with regular rail (right side of the image) a block update next to the regular rail will cause it to break because there’s no solid block ?supporting’ it. 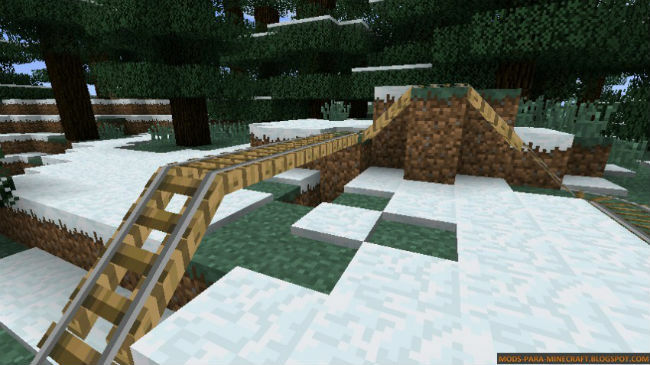 Download the Rail Bridges Mod from link below.